Getting the most out of prepaid wireless advertising dollars is about reaching your targeted customers in the most cost efficient manner. As you can imagine, Prepaid-Wireless-Guide.com receives extremely targeted traffic! If you're looking to reach people who are searching for prepaid wireless products or plans, prepaid wireless broadband, or prepaid hotspots, you can rest assured that visitors to this site are your potential customers. People find this site for thousands of keywords at Google, Bing, Yahoo, and others, and ALL traffic is organic; I do not pay for traffic! Prepaid-Wireless-Guide.com is committed to providing only targeted ads that represent products and services that will add value to visitors to the site. If you feel that your product or service is a good fit, please use the form below to submit your request. Each request is carefully reviewed to ensure that it is a good fit for visitors to the site, and you will be contacted within 24 hours with the results of my review. At Prepaid-Wireless-Guide.com there are prepaid wireless advertising opportunities to meet every budget. Regardless of your budget, you're guaranteed to receive great value. As the site continues to grow, any price quotes sent to you are valid for 30 days only. You may choose to advertise for any length of time that fits your needs (ex. one, three, six months, or other); discounts on multiple months will be included in the price quote. Let Prepaid-Wireless-Guide.com work for you to help you gain exposure to your great prepaid wireless related products and services, and discover the power of targeted online marketing. Note that if at any time you're not satisfied with the service or results, I will be happy to refund your payment on a daily prorated basis. Q: Who creates/designs the ads? A: You do! Your brand is yours, and the expectation is that you'll provide ads of the appropriate dimensions for the targeted ad space. As this is a partnership, I'll provide feedback and will ultimately need to approve the ad, however, unless it's wholly inappropriate or unprofessional, it's unlikely that I will have any objections. Please note that the ads are expected to be JPG, GIF, or PNG format. Q: What ad formats are available? A: The size/shape of the ad will depend on what pages, and where on the page you'd like to place your ad. A good guideline is to look at the existing page you're interested in and take a look at the size and shape of any existing Google AdSense ads on the page. Your ads will replace these ads. Of course, I'm certainly open to discussing different sizes and/or placement. Q: How do I know where my ads can be placed? A: On any given page, if you see Google AdSense ads, your ads will replace those ads. Please note, however, that if you have a specific location or ad size that you're looking at placing, I'm always open to discussing ideas that you believe will best meet your needs. Q: How much do ad placements cost? A: Upon receipt of the request form, I will send you the most current pricing. It is important that you include pages you're interested in advertising on in the comments field of the form. Pricing is set to be extremely competitive in order to provide you with unparalleled value. If you're ever unhappy with the value you're getting, I'll be more than happy to provide you with a full refund prorated on a daily basis for time already elapsed. Building a long term relationship is more important than trying to gouge you in any way, so if you're ever unsatisfied with the value you're receiving, please don't hesitate to contact me immediately. A: Once we agree on a price and length of ad placements, the expectation is that you will process a check or PayPal for full payment. For example, if you choose to advertise for six months for $X dollars, I will email you an invoice, which you will pay in full upon receipt for the full six month payment. If you're snail mailing a check, it must arrive at least 3 days prior to your desired go live date. While the invoice is being processed, we will work together in good faith to finalize the ad and placement. Q: We're already using Google AdWords, why would we want to advertise directly with Prepaid-Wireless-Guide.com? A: Google AdWords is an amazing program, and this site benefits from it via the Google AdSense program. AdWords enables you to have a vast reach on the Internet without the need to individually manage relationships with each site, which could be dozens, hundreds, or even thousands depending on your niche. Google does a fantastic job bringing these sites to you. 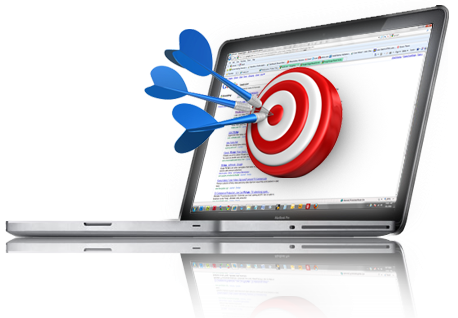 You can even specifically target sites that you want. However, when you find a highly targeted site that is of specific interest to you (like this one! ), advertising directly will essentially eliminate the competition for the space on the particular page(s) you're ads are on. With AdWords you'll need to compete with other advertisers that are bidding on the ad space, and as the competition rises, your cost also increases. Advertising here enables you to have a predictable monthly payment that you KNOW will reach your targeted customers, and you know will be seen by every visitor to that particular page. No need to worry about link farms and other keyword focused pages that don't deliver the true content that your customers are seeking. In addition, you own that page, so your competition won't be there right next to you. You can rest assured that your dollars are yielding tremendous value, and with a fixed monthly fee, you don't need to be concerned about a rising advertising cost. Q: How long can I lock in an ad particular ad space? A: Given how fast the site continues to grow, I typically offer one month, three month, and six month commitments. I will always offer discounted pricing for locking in longer terms. Visitors to the site do tend to revisit, so the longer the placement, the greater the probability of visitor/customer recognition. If you desire different terms, however, please don't hesitate to bring it to my attention for consideration. Q: Will I get an opportunity to signoff? A: Most definitely! You'll email the ads to be used for placement. Assuming that I have no comments on the ads themselves, I will post them at least a few days in advance of the agreed upon start date to provide you an opportunity to review and approve them. The objective is always to have you completely satisfied, and ready to go in time for the official launch date. Q: Can I change ads during the period placement terms? A: Certainly. If you have a change in branding, a new campaign, or a special offer that you'd like to promote, I will work with you to swap out the ads. While there are no particular restrictions, please note that excessive requests will not be permitted. The definition of "excessive" is subjective and at my sole discretion. Note that I have yet to encounter any issue with this! Q: How do I know how much traffic Prepaid-Wireless-Guide.com is really getting? A: I will send you traffic stats along with a list of keywords related to your topic to help you understand what target demographic you'll be getting with your ad placement(s). I will also send you a link to a third party, independent traffic measurement resource that can help you confirm the traffic/ranking of the site. Please rest assured that I'm seeking to build a long lasting relationship, and that I will be open and honest about the website traffic. Ultimately, if you don't get the value from the ads, neither of us will benefit in the long run. Q: Can I have my ads displayed only for visitors from specific countries? A: Unfortunately no. Prepaid-Wireless-Guide.com reaches people in over 50 countries worldwide. I am working on country-specific targeting, however, that functionality is currently not available. If you're interested in seeing the geographic distribution that the site gets, please let me know. Q: Can I advertise whatever I want? A: Yes and no. Within the context of the topics of the website you have the flexibility to advertise and promote your products/services. However, if I deem that they aren't a good fit for the site, not in good taste, or in any way violate the spirit of the website, I reserve the right to decline any ad at my discretion. Q: Do people find your site through Web searches? A: Absolutely! The main source of traffic is from Google, Bing, and Yahoo. Between Google, Bing, and Yahoo, the site gets found for many many thousands of keywords. Q: How long does it take from the time I contact you to the time ads can go live? A: Once you contact me and let me know what pages you're interested in, I'll send you a current price list within 24 hours. Upon deciding where you'd like to place your ads, you can immediately send me your images/ads. Depending on how long it takes for you to prepare and send me the ads, within two to three days, I will provide you an opportunity to signoff on the pages. The only other variable is receipt of payment. Depending the speed with which payment can be issued, the ads can go up fairly quickly.